2018 is starting to look like a banner year for Clark’s Cemetery. Awesome Gloucester provided a $1000 micro grant to but a tripod for lifting heavy monuments. The Gloucester Cemetery Advisory Committee was awarded $9600 for restoration projects in First Parish Burial Ground and Clark’s Cemetery. 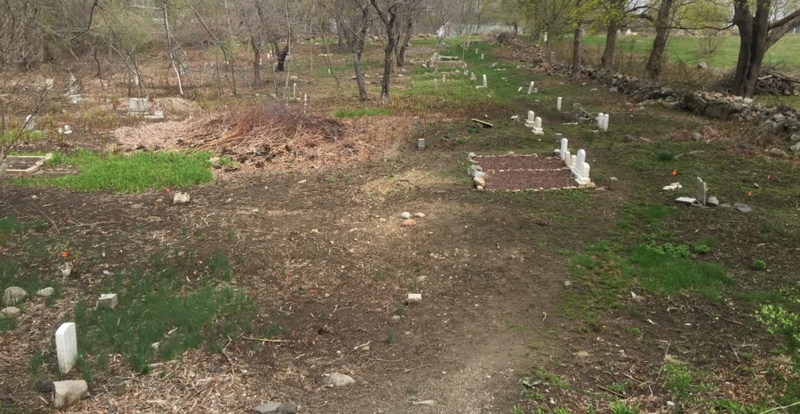 The National Park has expressed an interest in returning to both cemeteries to continue with education and restoration events in both cemeteries. After the post about the Wreaths program I received many messages, emails and a couple of phone calls. Mr. Joseph Orlando reached out by phone, and explained a lot about the program. His call pointed me in the direction of his sister with whom I will work this year on the Wreaths Across America program.